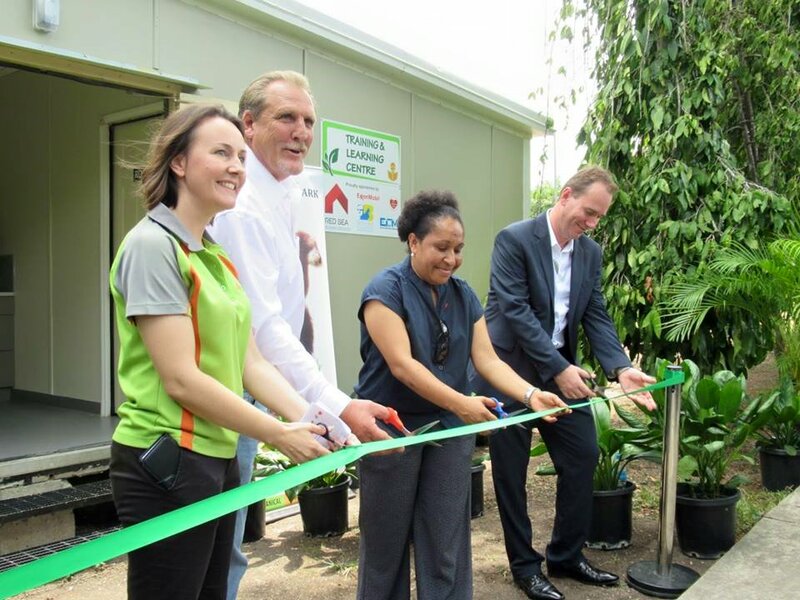 Port Moresby Nature Park opened a new Training and Learning Centre today for learning sessions for school kids. The Training and Learning Centre will enable the Park to provide more effective learning sessions for the thousands of school children that participate in the Park’s weekly educational programs. The programs support the learning outcomes of the PNG School Curriculum, which has been one of core reasons that the Park has been able to deliver its programs to approximately nineteen thousand school children this year alone. Students from Waigani Primary School were invited by the park to be the first to utilise the facilities, with a session run by Port Moresby Nature Park’s education team. Gold Sponsor Red Sea Housing generously donated their services to constructing the building with additional modifications to turn the building into a full functioning training and learning centre. Further assistance for the project was given by Major Partner ExxonMobil PNG who have supported the Port Moresby Nature Park since 2013, and by Gold sponsor ECM who completed the electrical works on the building. New supporters Sir Brian Bell Foundation and City Mission each contributed in-kind through furniture and painting support respectively to enable the project to be completed. The opening was attended by representatives from Red Sea Housing, Exxon Mobil, the Sir Brian Bell Foundation and Digicel and included a tour of the facilities. The training centre also includes a smaller room suitable to staff training and for the Park’s board meetings. The Nature Park is a non-profitable organisation supported by NCDC, the generosity of the business community and public visitation.